The AFS2R mobile ANPR system controls all car parks : on-street parking, illegitimate parking and long-stay parking. There are three use cases : ANPR mobile checks linked to a mapping system used by pedestrian patrols (directed by the data generated by the ANPR system with final validation of the fine by an on site officer), parking statistics produced by ANPR-GPS-data base cross checks and the AFS2R method : semi-automated controls (AFS2R patented product) – no street interaction all monitoring actions are operated remotely with an unmatched efficiency. The first method described above is designed to lead officer to sites where illegitimate/unpaid parking situations have been identified. The statistical use aims at creating data-knowledge of local habits so as to be a part of public policies and infrastructure strategic decisions linked to mobility. The specific AFS2R semi- automated method reduces “ko controls” (no payment or illegitimate parking) to less than 15s whilst an “ok control” (valid parking rights) takes less than 2s. France, in early 2018, had a very low level of legitimate on-street parking with less than 20% valid parking rights at any given time. In such situations, the semi-automated ANPR control method patented by AFS2R creates an impressive value. The pedestrian radar it’s a smart traffic system which detects pedestrian crossing and the vehicle approach behaviour. 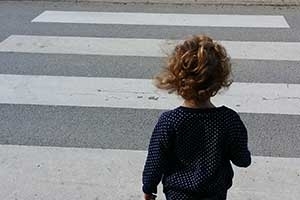 The AFS2R system analyzes situations flagged as “at risk” according to local regulations (each country gives different priority rights to pedestrians). 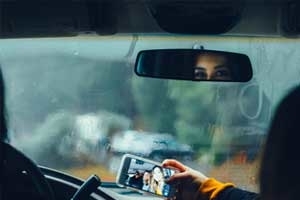 Our pedestrian radar’s mission is to change drivers behaviour : drivers are made aware of the impact of the negative externalities going with their driving habits. The system may be used as an information device (with an optional infosign) or as an enforcement tool (the digital application has all features allowing fine issuance and judiciary data management should local authorities require court evidence based on our pedestrian radar files). This technology is relevant at any dangerous crosswalk and may enhance local community safety near schools, nursing home, municipal sports facilities or any other place with high pedestrian-cars interference. Dedicated lane radar controls illegitimate use of traffic lanes (bus lanes, lorries, lane swap, congestion charges…). The objective is to guarantee free-flowing traffic to authorised vehicles only (buses, electric vehicles or to carpooling). That technology is used to maintain road efficiency : from large urban metropolis where complex congestion situations are to be handled to small villages where road safety is at stake when trucks are transiting in unauthorised areas. “ANPR barriers” is an cost killer parking enforcement system which controls car entrance and car exit in car parks with limited access ways. It is field efficient and requires little investments to guarantee full parking payments. 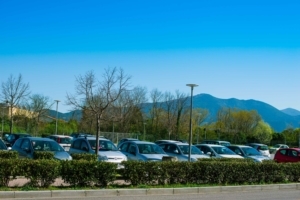 With AFS2R ANPR barriers system, each vehicle in an equipped parking is registered and its parking rights checked at the lowest market price. AmigoNav it’s a software application designed and patented by AFS2R which helps individuals and organisations (public and private) to promote car-sharing proof of occurrence and entitles users to benefit from specific rewards : dedicated lane access at pick-congestion hours, parking discounts, marketing-shopping discounts, carbon micro-credits based on shared mobility reducing carbon emissions… The technology is a social application promoting carpooling, a way to increase carpooling mobility situations by valuing this particular mobility habit. 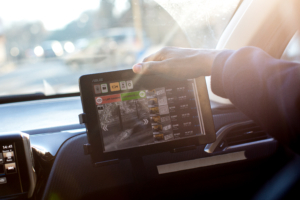 The technology allows carpooling enforcement to be easily operated using a simple smartphone – dramatically reducing investments needed compared to fixed road-side carpooling control units. 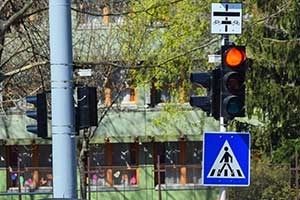 STOPCAM controls intersections equipped with traffic lights. It’s an intelligent traffic system which detect at the same time the traffic light status and the car illegitimate behaviour. Red light enforcement is a key feature of any road safety policy. Stop sign STOPCAM allows for permanent control of stop signs. It automatically detects cars illegitimate behaviour at stop signs. 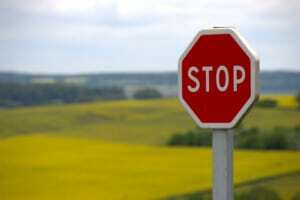 When a car stops as per mandatory road sign no information is recorded by our system. 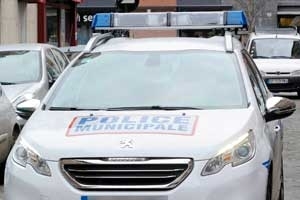 If the car passes the sign without marking a full stop, then the STOPCAM records a video with the licence plate and maked the information available for police-enforcement services. The blacklist module allows security services to identify stolen cars, uninsured cars, car owner fiscal obligations… On a “hit” situation (match between black-list and real time number reading) the application displays a notification to the operators as well as a remote alert to service HQ or anywhere specified. AGL Captur is a software application designed and developed by AFS2R. 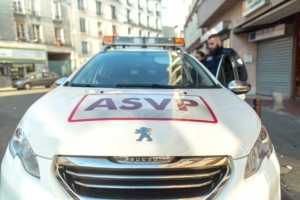 The purpose of AGL Captur is to allow an operator (mobile use) or an automated device (fixed systems such as dedicated lane) to collect road information from various sensors (ANPR, GPS device, laser…). The information digitalized by AGL is then valued according to customer specifications (statistics, payments, tickets, safety…). AGL Server is a SAAS application designed and developed by AFS2R. The first objective of AGL Server is to display the data generated and transmitted by AGL Captur. 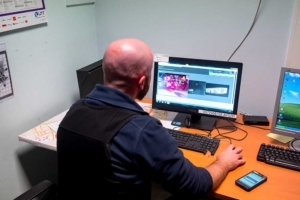 The data becomes a valuable asset for police use (fines), judicial authorities (court evidence), safety and security services and road-parking management services. AGL Server is versatil and interoperates with a long list of third party server applications (payment services, specific rights management systems, police data collection process, digital fine issuance systems…). AFS2R mission is to increase mobility efficiency and road safety. All our products are based on optimized data collection process & specific tasks. All our technologies are designed and created by AFS2R and aspire to be part of innovative ITS toolkits. All AFS2R solutions improve road safety and mobility practices. AFS2R, STERELA group and their suppliers are dedicated to quality and innovation whilst obeying the highest standards in terms of environmental, ethics and management practices. Your email address is only used to send you our newsletter. You can use the unsubscribe link included in our newsletter at any time.